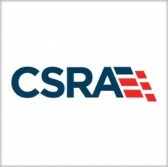 CSRA‘s SRA International subsidiary has been awarded a five-year, $25.5 million contract to provide a common, integrated radio frequency identification system to the U.S. Army. The Defense Department said Monday that the Army will implement passive Radio Frequency Identification III technology to track, locate and identify commodities and assets. SRA is scheduled to complete work by Dec. 18, 2021. The Army received one bid for the contract via the internet and the military branch will determine work location and funds based on each order.